[Video Tutorial] This Tooth Fairy Pillow Is Such A Cute Idea! 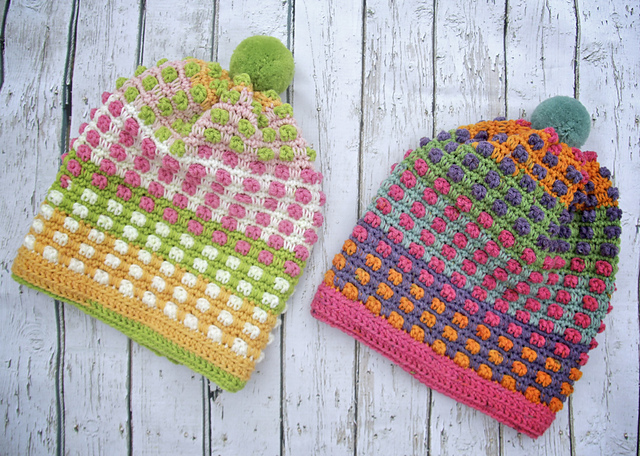 This hat is full of happiness and so much fun to make and to wear! That texture with a very unique look is like a trip to a happy childhood memory.The pattern is extremely attractive and will appeal to a broad range of ages. Bubble Gum Pop Hat by Tonya Bush is sized as written for adults however you are given instructions as to how to resize it to any size. Hat is made with a self-striping cake and I have worked the yarn from both ends of the cake to give it a very unique appearance. These Adorable Bubble Boots Are Stylish And Stay On Baby’s Feet! 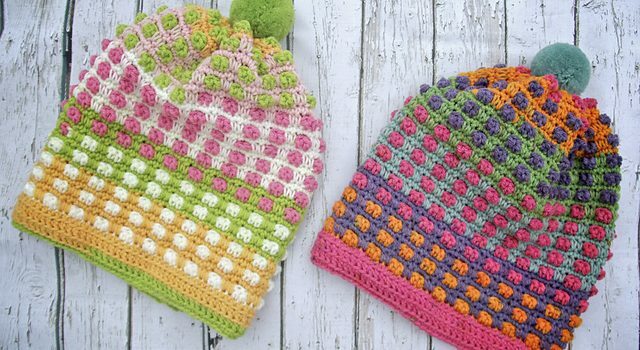 Check out the original source for the Cute Bubble Gum Hats Free Crochet Pattern with all the directions and full written pattern at: Nana’s Crafty Home. [Free Pattern] Such An Easy And Clever Way To Make A Stunning Crocheted Quilt!